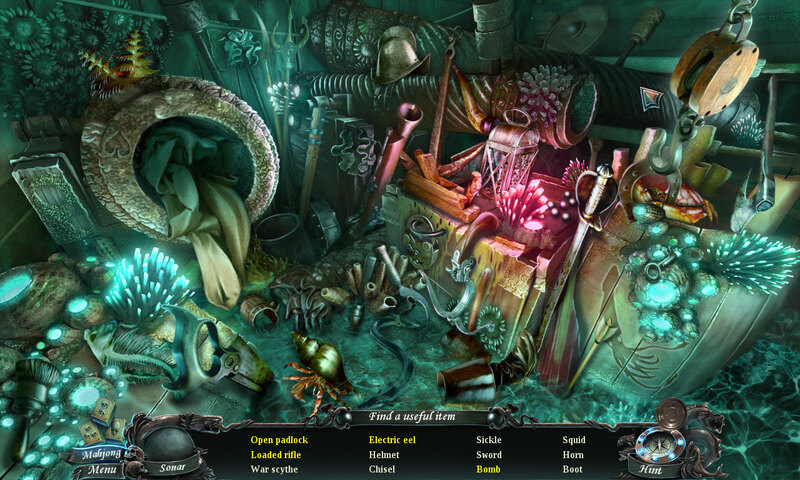 As far as hidden object games go, Nightmare from the Deep: The Cursed Heart is a pretty great one. This PlayStation 4 game is actually a port of a PC title from 2012, which features all the hallmarks of the modern hidden object game genre: a female protagonist, a focus on proper characterisation and a strong endeavour to see conflict solved by understanding rather than violence. It’s easy for hidden object games to go under the radar, especially when their core mechanic involves looking at still images and picking out the details, but these games have been quietly building a significant following over many years now. This is not a game which will make a huge impact on you, but it is an engrossing ride while it lasts. The plot revolves around you, a museum curator, who receives the body of notorious Caribbean pirate Captain Remington. The night before the exhibit is due to go live, you are putting the finishing touches to the centrepiece when the body comes to life and crashes a ghostly pirate ship into your museum! But worst of all, Remington kidnaps your daughter and takes her deep into his haunted ship! It’s not a terribly original story but it does have its twists and turns. The pirate theming is well researched, but The Cursed Heart really shines as a tale of gothic horror: it’s got everything from deals with the devil, forbidden love and obsession bordering on madness. While it’s not overtly scary, there’s an overt melancholy permeating every room you explore, and the atmosphere is excellently represented in the puzzles you need to solve. Furthermore, the characterisation is excellent and the developers do a wonderful job of making Remington a compelling character with flaws that evolves throughout the story. The protagonist is left a blank slate, which is understandable, but so is the protagonist’s daughter who is reduced to a MacGuffin role as she is dragged deeper and deeper into Remington’s dungeons. I couldn’t help but feel the relationship between the player character and the daughter was a missed narrative opportunity, but Remington’s quest for redemption was good enough that I was nonetheless happy to go along for the ride. 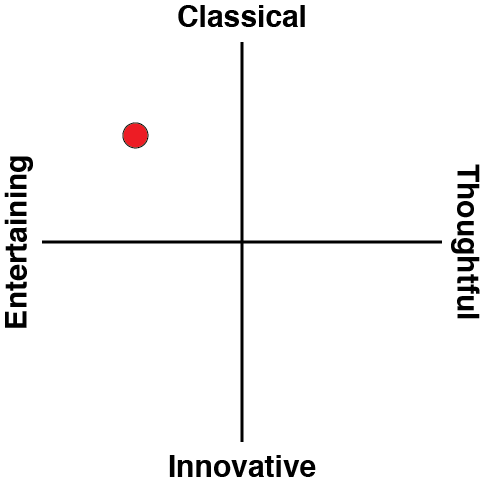 That being said, the puzzle aspect of the game was of mixed quality. Some puzzles require you to use logical deduction in order to piece together an image or code, and those are used to excellent effect to set the mood. The framing device is that you are breaking into Captain Remington’s secret chambers, which is where he has taken your daughter. Because of this, it makes narrative sense that you would be solving puzzles like this, and thus the player forms a bond with the protagonist through this conceit. The same can’t really be said for the hidden object segments however. While most of them exist to represent the player character finding a key item needed for plot progression, they’ll also require you to find a dozen other arbitrary items. Such is expected course for the hidden object genre of course, but the images with hidden objects strewn across them don’t particularly set the mood or location too well. There are a few interesting moments where you need to interact with the scene in order to reveal or construct the items you need to find, but in the majority of cases I found the hidden object sequences to be uninspired and rushed through them to see more of the story. 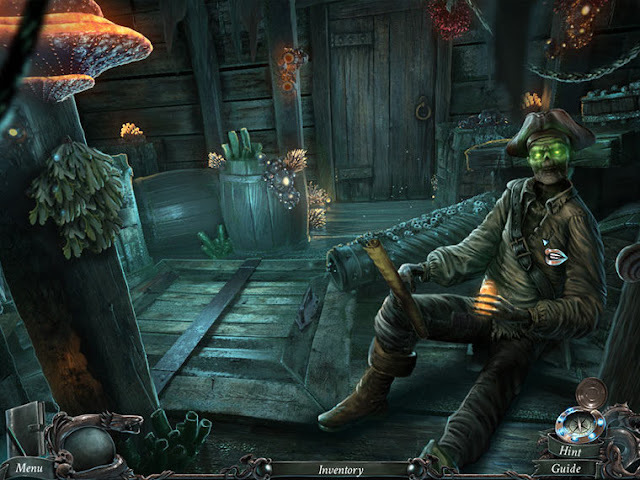 To add to frustrations, the game rarely tells you when a hidden object sequence becomes available, so players will need to sift through the game’s various screens when stuck to find a glimmering piece of the background. I was a bit confused as to what the target audience for this game would be. While the puzzles are easy enough for anyone to solve, the story is mature – mature in that it deals with complex themes like parenthood and lingering relationships, and not mature in that it features any gratuitous violence. Nightmare from the Deep is content to meander at a leisurely pace compared to most other games you’ll find on the PS4; it’s family friendly but might be better suited to non-players who want to experience a good story. The game has two difficulty settings – a casual one which doesn’t penalise you for wrong guesses and gives you ample hints to complete the story, and a difficult mode which really challenges you to find those background objects on the first try. If a particular hidden object sequence becomes too tedious, players have the option of playing a mah-jong tile-swap game instead to tick off some items off the finding list. The adventure segments also offer a hint feature which points you to the next location you need to go to advance the plot. The artwork is excellently done, with bright colours that are a joy to look at. Stepping into a location for the first time is a great feeling, although I did feel that locations got reused quite a bit as the game went on. 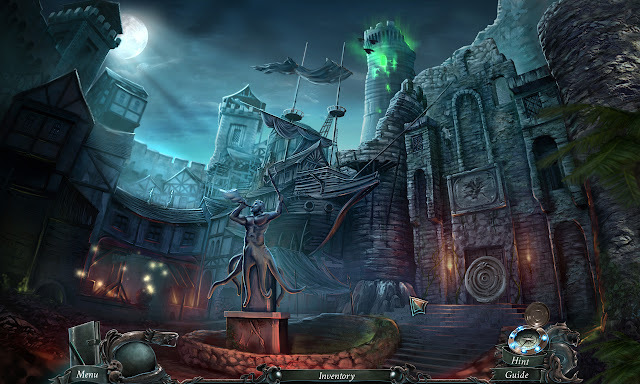 Each hidden object screen gets used twice for example, and backtracking through the various locations is also a common occurrence. Nightmare from the Deep also features voice acting for all its characters which mostly works to the game’s benefit. With a gripping story backed by interesting puzzles, my few hours spent with Nightmare from the Deep were delightful, if only more passive compared to other gaming experiences that I’ve had. Not quite adventure game and not quite visual novel, this game definitely had a lot more to offer than just finding arbitrary objects in background images. 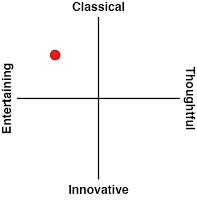 The focus on characterisation and the interesting story structure also worked very much in the game’s favour. Nightmare from the Deep is like a Romance paperback at a newsagency – a cheap title that will keep you entertained for an afternoon without trying to be more than it really is.